Speedy Stitcher Sewing Awl | BUDK.com - Knives & Swords At The Lowest Prices! 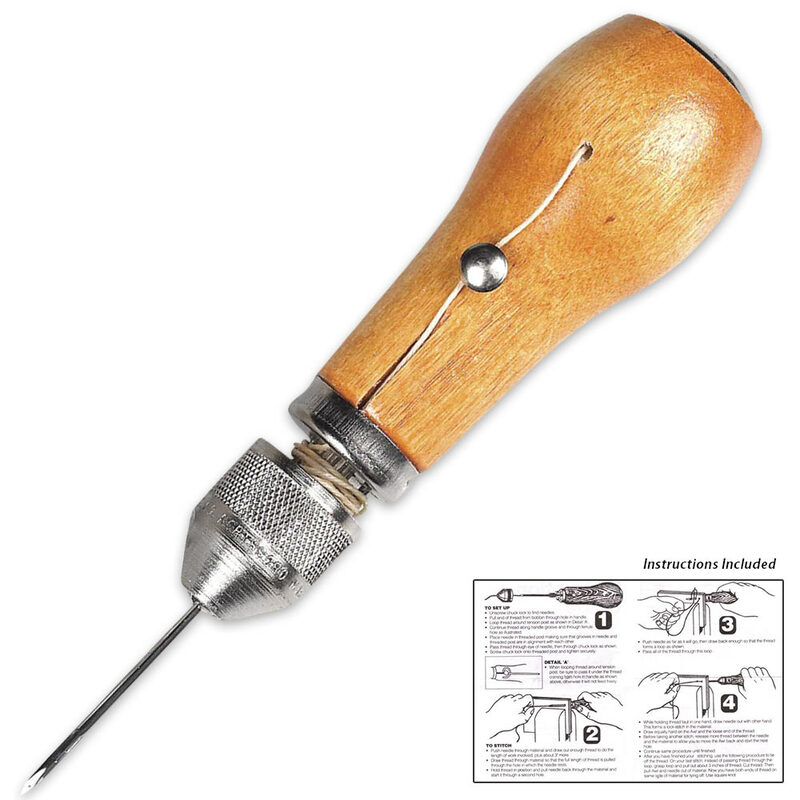 Repair practically any type of damage or tear to virtually any piece of your gear with this Speedy Stitcher Sewing Awl! Two custom diamond point needles will make short work of repairs to tents, backpacks or sleeping bags. Along with the awl and needles, you get waxed thread in the sewing kit and easy-to-follow instructions. FNA! This is just what I needed ! Got some heavy duty leather at a craft shop and got to work stitching myself a custom thick saddle leather sheath for my USMC K-Bar Knife! Way to go , BUDK !!! !